Submitted by Bassman5000 on Mon, 08/07/2006 - 22:35. Sorry in advance if these pictures are too big!! 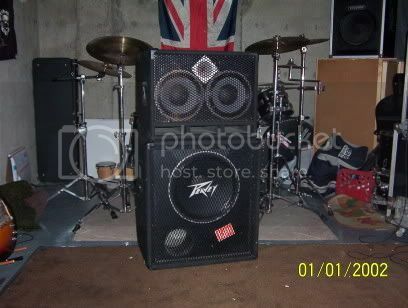 I don't actually yse the Peavey MKIII anymore but I keep it around for back-up. I use the Yorkville Bassmaster 800 in a Gator road case now. 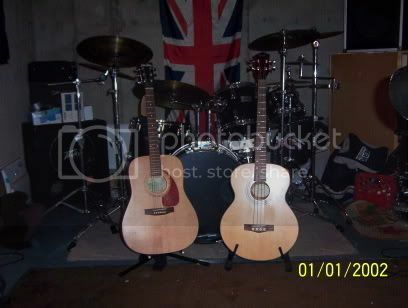 These are my fav's on the left is an Ibanez SR400 and on the right is an SR405. 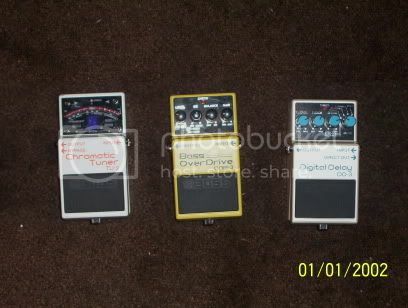 I use these when playing live. Posted by Tim on Tue, 08/08/2006 - 20:07. Hey Bassman, some nice stuff you've got there...I want the Framus! Posted by Bassman5000 on Tue, 08/08/2006 - 20:27. Nice gear Man!!! I want your Framus LOL. Looks like you like the vintage stuff too. Kick A** dude!!! Posted by Tim on Wed, 08/09/2006 - 18:46. Thanks Bassman, It's kind of a collection of what I could get cheap/free the Aria was tested and chosen but still on a tightish budget, the rest happened to come along pretty much. Posted by 1bassleft on Wed, 08/30/2006 - 01:46. My German mate Arni has a great site for drooling (especially a lefty like me). 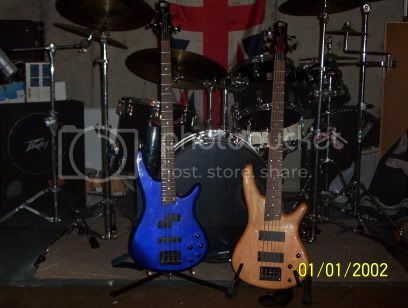 Goto http://www.leftybass.com/e_start.htm and click on "My basses" and "Equipment". 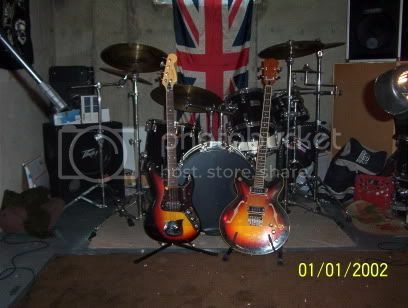 I can beat him on equipment but he has more basses than is sane. The Fenix is good, lake a late Jap Squier, but I rarely play 4-string. I also have Cort Action V to back up the Jim Reed. As often happpens, I tend to play the backup more often than the nice one in the case. My amps are on another thread here so I won't bore everyone. Posted by 1bassleft on Mon, 09/04/2006 - 01:23. Don't worry about the nasty pixellation; click on a bass and everything comes up nice and clear. Love those early Ps. Posted by Michael on Mon, 09/04/2006 - 03:13. I think that URL is missing some code 1b? Posted by 1bassleft on Tue, 09/05/2006 - 01:14.
and click on the "gallery" button at the bottom and take it from there. Posted by 1bassleft on Tue, 09/05/2006 - 01:52. Laney PA Super 100. Recently sold, :cry: , but I might pick up a replacement if finances permit. 8W 6V6 amp made for me by a friend in LA. Similar to the Fender Champ circuit. 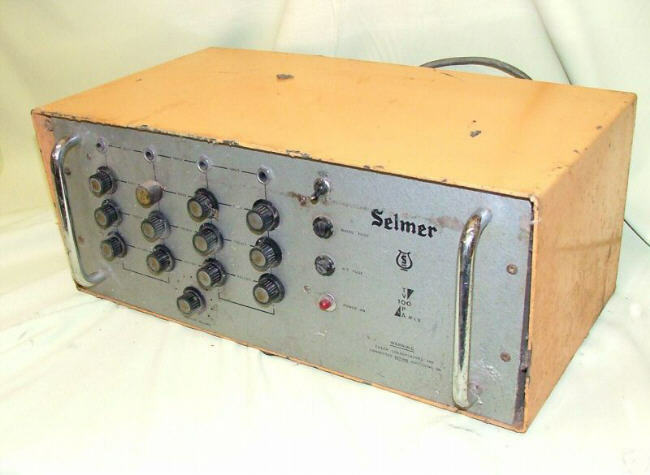 Selmer TV100PA MkII. Ugly, nasty paint but working and a bit "HiWattish" sounding. Dallas Scala 515. Tatty, painted black (originally a green/grey pattern), but works fine. Impact 60 (library pic - mine is tattier and does not have matching cab). Again, mine is tattier, no logo and I think the grill cloth is non-original. I'll probably sell this Park - it's incredibly heavy and too loud just to keep in the rehearsal room. Posted by Michael on Tue, 09/05/2006 - 02:01. If you had to sell em all except one, which do you keep.. eh? Posted by 1bassleft on Tue, 09/05/2006 - 02:44. 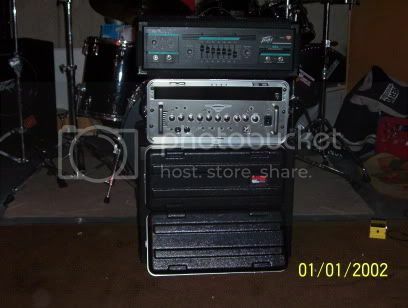 It'd be rude to sell an amp made for me by a friend, but the keeper is the CMI. First of my amps, and still the best sounding. 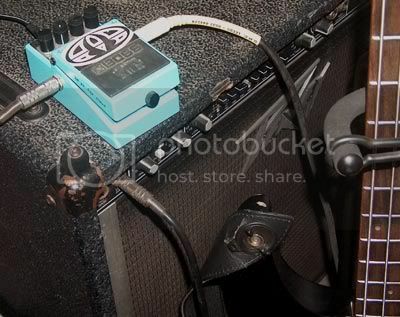 Just like (in fact, almost the same circuit) to the Superlead/Superbass MkI a la Hendrix blahblah.